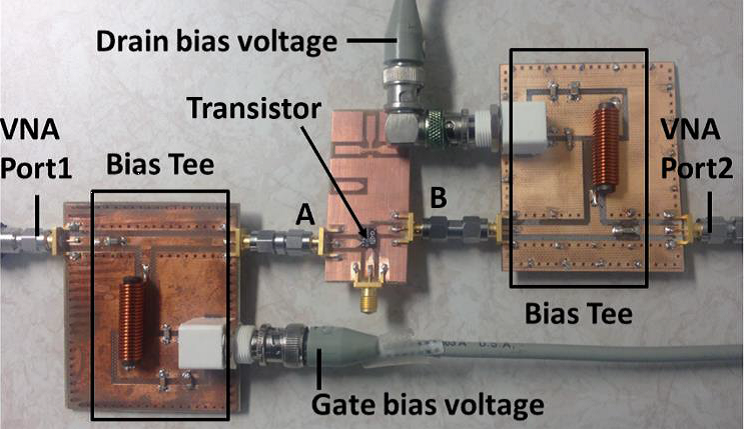 A novel methodology combining both Sij measurements (usually dedicated to low power and high frequency devices) and high voltage/high current probes is being developed to provide accurate non-linear thermo-electrical models of AlGaN/GaN power switches [1-2]. It is targeted to take benefit of this new process flow and subsequent reliable models to design power converters with switching frequency up to 1MHz-10MHz. These operating conditions make it possible to downscale substantially the circuits needed for DC-DC conversion while maintaining excellent efficiency. The very first results are very encouraging since a complete non-linear model, taking into account the device self-heating, has been proposed and validated through many measurement at the device and the circuit levels. 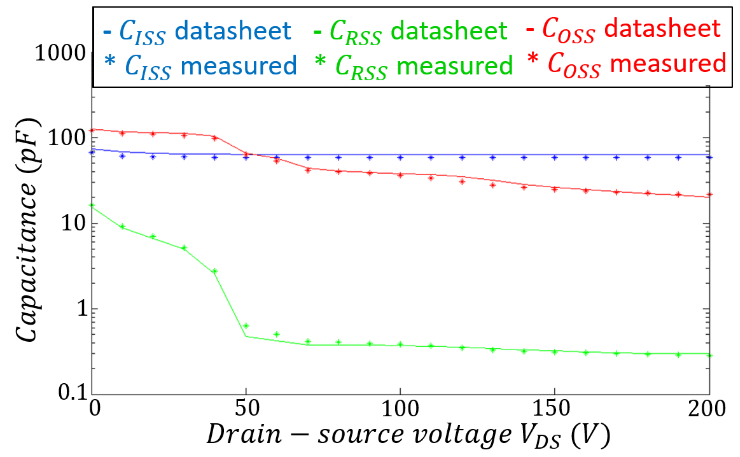 In this context, a set of new characterization circuits were designed and fabricated, such as high voltage / high current bias tees, coaxial open and short standards and associated small-signal equivalent parameters. The double pulse technique was implemented at the circuit level to validate both the transistor model and the electromagnetic behavior of the PCB routes at such high frequency and current values. These models will be used for the fabrication of hybrid convertors in collaboration with L2EP. In the future integrated convertors are envisaged. For this purpose, normally-off transistors and passive element such as inductances operating at high frequency and withstanding high current will be developed.